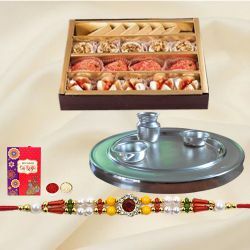 Send Rakhi to Jabalpur Online for your dear Brother added with Pooja Thali or Shoppers Stop Gift Vouchers, divine Silver, Gold N Rodhium Rakhi with No Extra Delivery Charges. 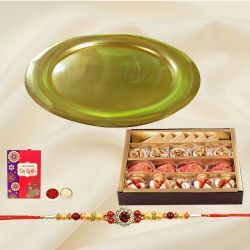 With the help of 24x7 Customer Service our E-shop can deliver Rakhi Gifts to all parts of Jabalpur say Ashok Vihar, Kakartala, Tilwara, Majholi, Govind Bhavan Colony, Ranital, Vikas Nagar, Saliwara, Dhanvantri Nagar, Ghamapur, Jasuja City, Barela Road and so on. 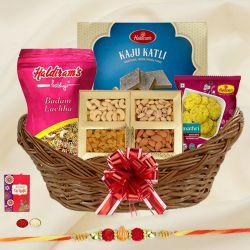 With Large Delivery Network we enable customers like you to Send Rakhi Gifts to Jabalpur from any part of India even from the comfort of your home. 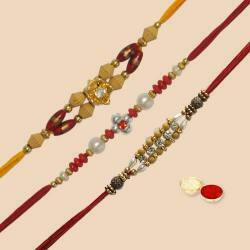 Sending Rakhi to Jabalpur wasn’t easier and so fast until the advent of e-commerce website facility. 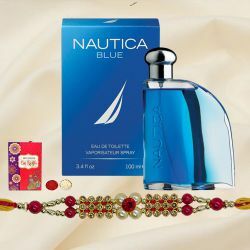 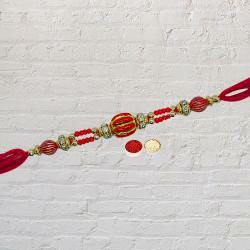 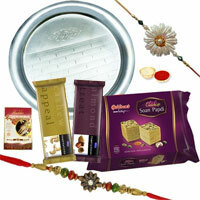 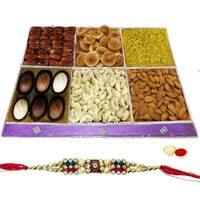 We know how difficult it is to select proper Rakhi Gift for loved ones. 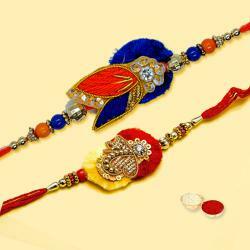 But our Website Portal is one stop solution where you can discover a range of unusual Rakhi Gifts for Rakhi Delivery in Jabalpur Online. 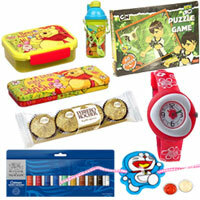 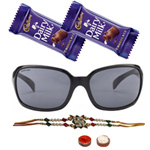 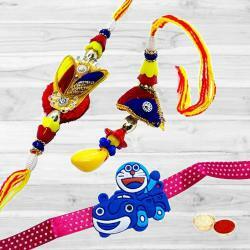 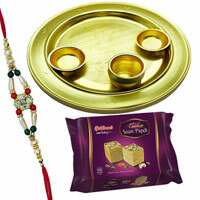 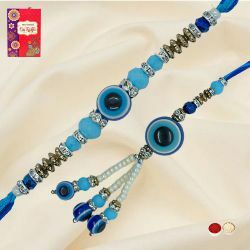 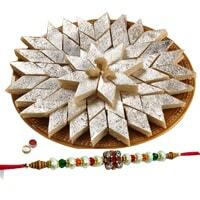 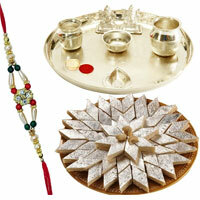 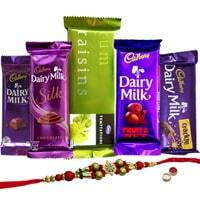 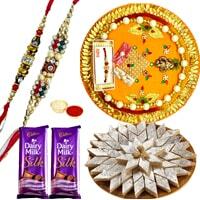 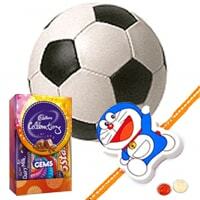 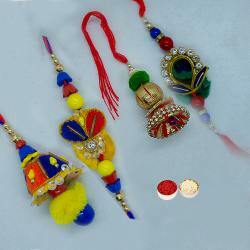 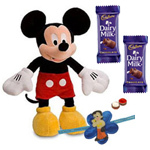 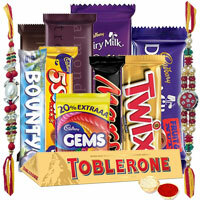 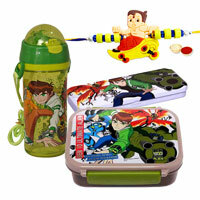 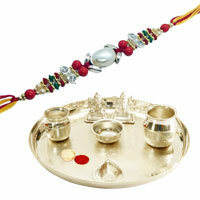 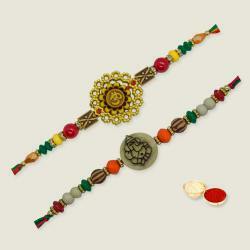 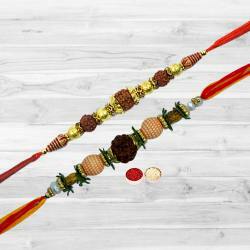 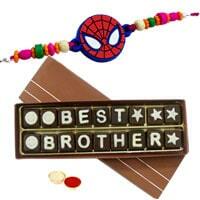 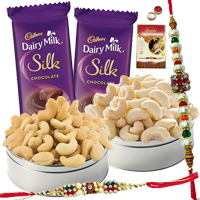 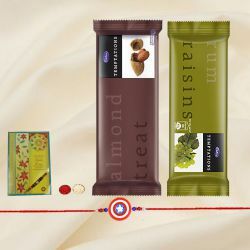 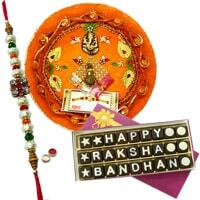 Our Online Shopping Site have got plethora of Rakhi Gifts for Brother and Best Brother Award Badge for brother. 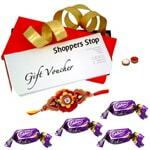 Our 24x7Customer Friendly staff helps in Timely Delivery of Rakhi Gifts to Jabalpur at the doorstep of your loved ones who deserve the best. 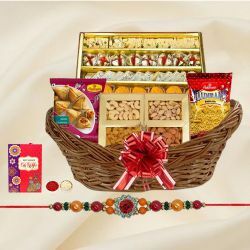 Our Online Shopping portal has also come up with Flexible Delivery Services like Same Day Delivery or Late Night Delivery of Rakhi Gifts to Jabalpur which is sure to add joy and surprise element to the celebration. 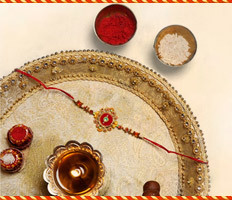 Siblings give you the happening time and each day is different with their presence. 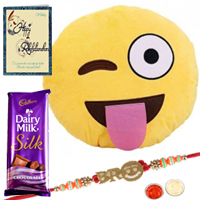 Sister or Brother starts looking for unique Rakhi Gift for Sending Rakhi Gifts to Jabalpur to greet each other much ahead of Rakhi festival. 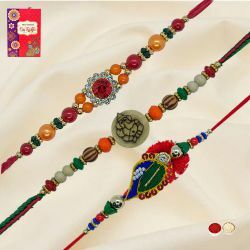 Our Website Portal offers a wide collection of Sacred Rakhi Thread such as Fancy Rakhi, Bhaiya Bhabhi Rakhi, Lumba Rakhi, Regular Rakhi and Silver, Gold N Rodhium Rakhi so as to acknowledge the bond and affection of brotherhood. 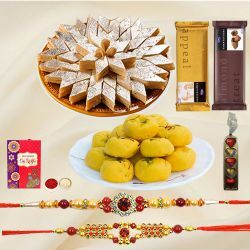 With our fast and reliable Same Day Delivery, Midnight Delivery service you can remain connected with your siblings as our Rakhi Delivery service to Jabalpur will help you Send Rakhi Gifts to Jabalpur from anywhere in the world. 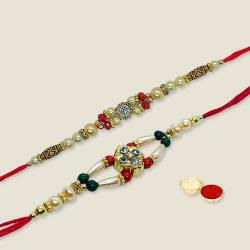 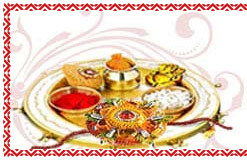 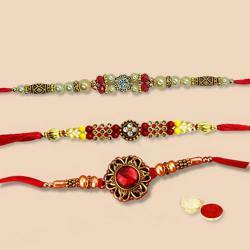 Raksha Bandhan is celebrated every year in the month of August. 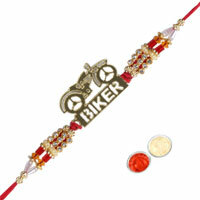 On this auspicious day sister ties a Rakhi on the hand of the brother and present Rakhi Gifts for Brother as a mark of love and honor. 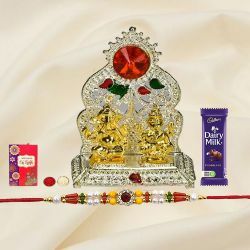 You can now Order to Send Rakhis to Brothers in Jabalpur along with charming Flowers Arrangement by Local Florist and leave true impression of love and calmness on this Rakhi Festival. 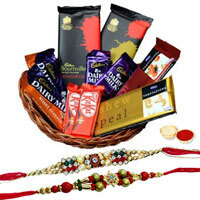 With our team of Expert Delivery Agents, we have made a reputation of Timely Delivery of Rakhi Gifts in Jabalpur as well as anywhere in India. 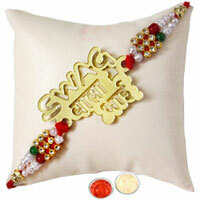 Our range of Rakhi Gifts to Jabalpur has been uniquely designed so that every sister could find the best Gift for her brother. 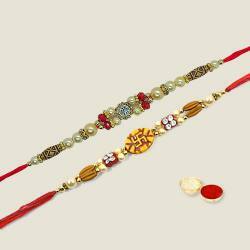 Be it Designer Rakhi, Fancy Rakhi, Traditional Rakhi or exclusive Rakhi Gifts to Jabalpur, our Online Catalogue offers promising range of Rakhi Gifts that fits into your budget.